I was never a fan of red meat, but I like to eat it every now and then. The media has scared so many of us from it. Red meat isn’t bad for you if you choose the right cuts and eat in moderation. In this healthy recipe I chose top round steak. It’s lean and tough, so I asked the butcher to slice it thin for me. Remember not to overcook round steak because I think it’s better rare/medium rare. I transferred it to a big bowl with a few cloves of garlic (I LOVE GARLIC hehe), juice from half of a lemon and added lot’s of black pepper. I covered it and let it sit in the refrigerator for about an hour. Transfer all the beef to a bowl. 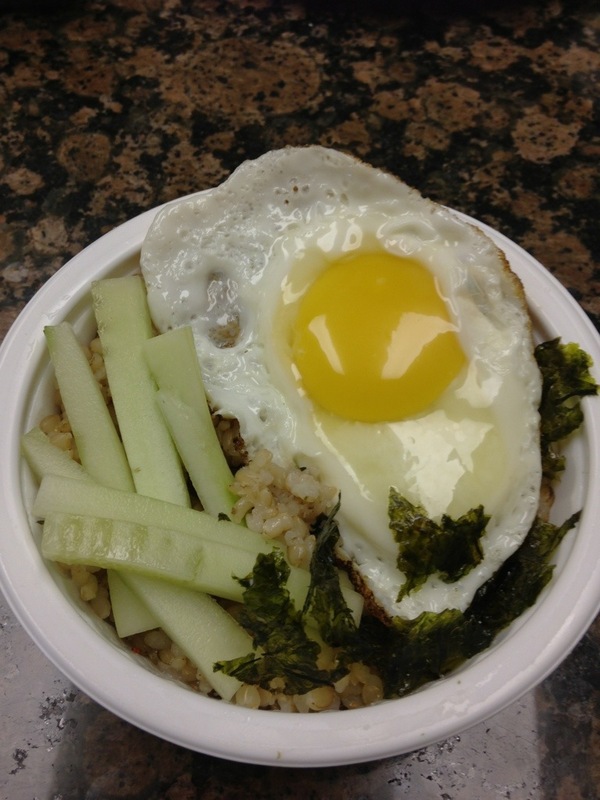 I wanted to make an even healthier version of (the already healthy) Korean style dish, bibimbap. I used brown rice because it is high in fiber. I threw in pieces of dried seaweed and cucumbers. Seaweed is very mineral rich, some of which includes calcium, copper, potassium, magnesium, and zinc. The cucumbers balances the meal with a cool touch since it’s mostly made up of water. The best part, of course, is the sunny side up egg that I cooked on a non-stick pan. Eggs are high in protein and having the yolk occasionally is fine. This dish is a mere 200-250 calories and tasted great without all the added fats and sauces! My vegan pizza sandwiches are simple and easy to make. 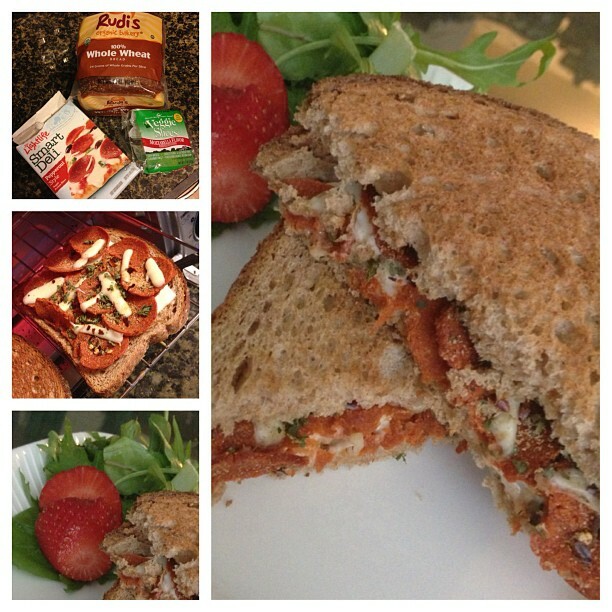 I personally like to use Rudi’s whole wheat bread with veggie “pepperoni” protein slices, and mozzarella flavored Veggie Slices. Add fresh garlic, basil, and oregano (or any fresh herbs you have on hand!). Voilà! A healthier alternative to calorie infested, fat-filled pizza. Pair it with an arugula salad with strawberries to balance the meal out with a touch of sweetness.